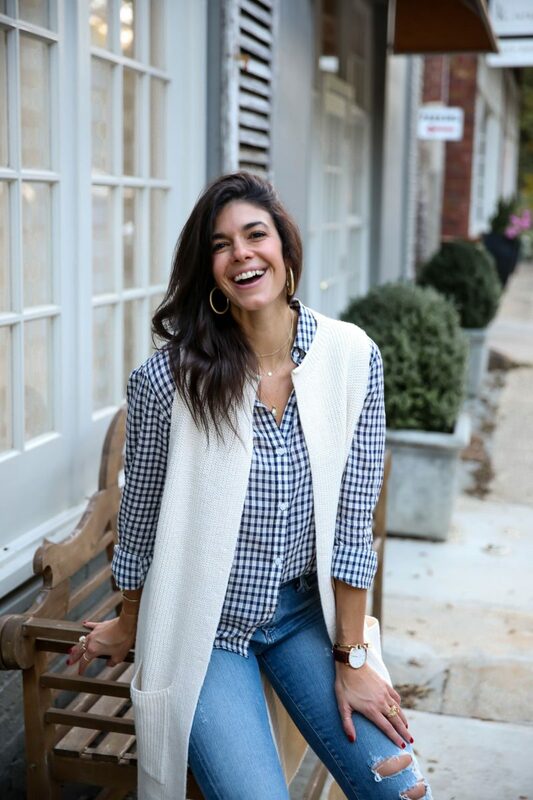 Just a quick mid week check in…hope everyone’s week is going well! Hoping to get to bed before midnight tonight. Still been staying up way too late…somewhere between 12-2 is the norm lately and let me tell you, this is sooo not fun. 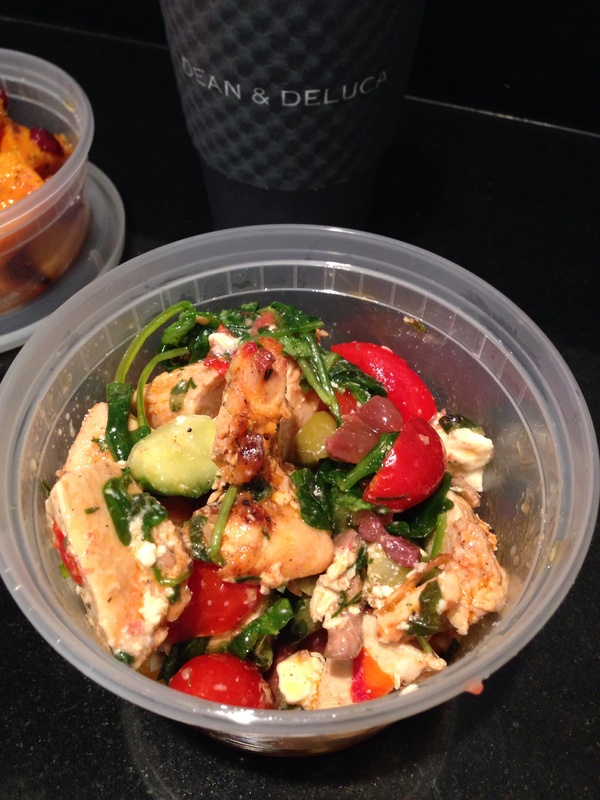 So much for my easy Monday because both today and yesterday were crazy busy, eat-in-the-car kinda days. 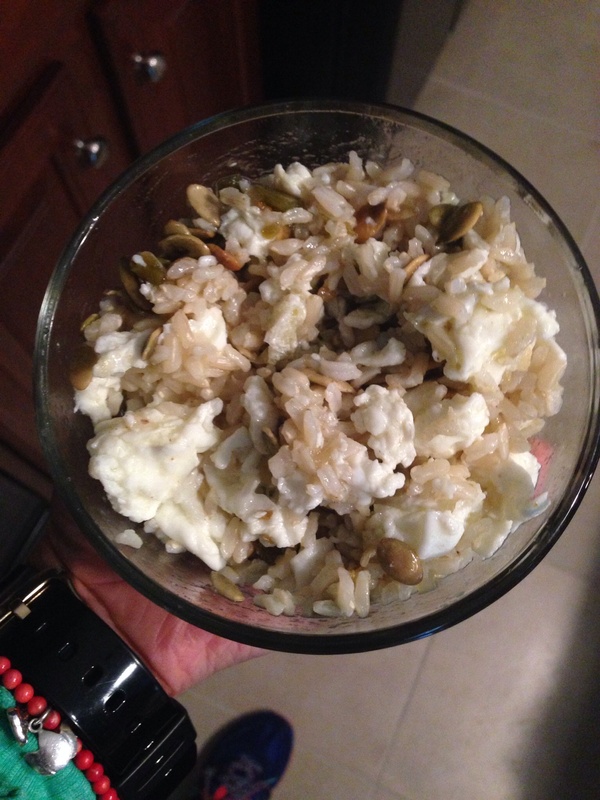 – 3 Egg Whites, Brown Rice, Raw Pepitas & Jalapeno Verde Salasa. Doesn’t look appetizing at all but I promise its good! Ate this in the car to my session across town. Switched it up and went for some D&D over my usual Tuesday night Whole Foods run before teaching. 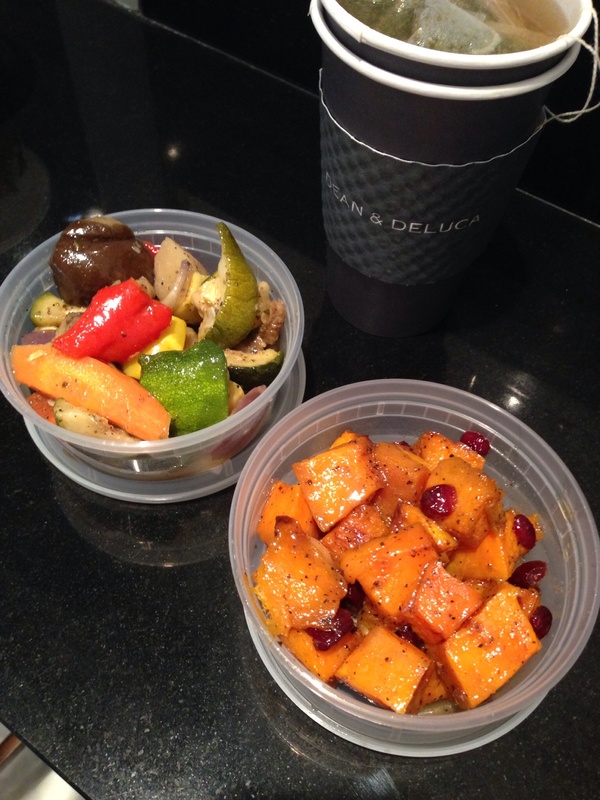 – Roasted Vegetables & Roasted Butternut Squash w/ shallots & cranberries – SO Yummm! Squeezed in 35 minutes at the Y between my last client & teaching yoga. Woke up with plenty of time to enjoy my morning routine. Green tea instead of coffee this morning (trying to do less coffee & more tea) and had plenty of time to cook up some oatmeal. 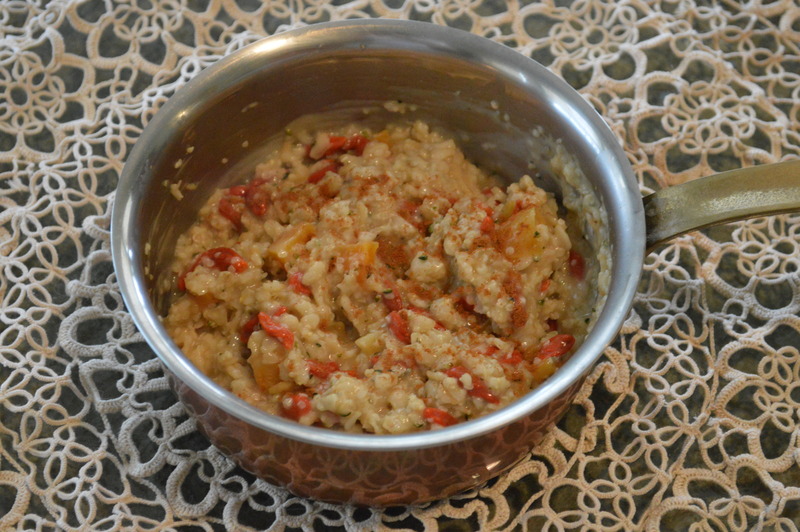 Super filling & satisfying oatmeal with Goji Berries, Dried Apricots, 2 tbspn of Hemp Seeds, coconut oil & cinnamon. Speaking of a satisfying breakfast…you might like to check out my friend Katie’s Fried Banana Breakfast Toast (sounds amazing, right!?) She posted this on her blog, Honeystuck, this morning. 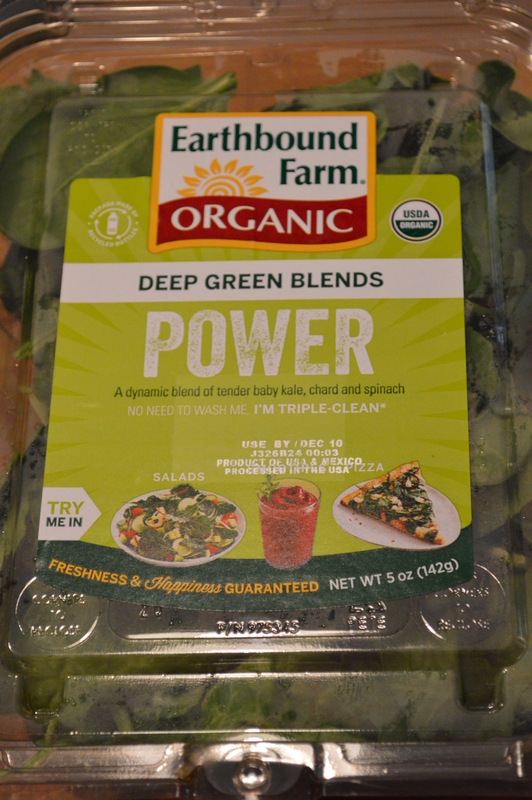 Had a 1.5 hour break between sessions this afternoon which gave me just enough time to pop into Earth Fare, run to the bank and left me with a whole 20 minutes at home so naturally, I made a smoothie. SO GREEN!!! 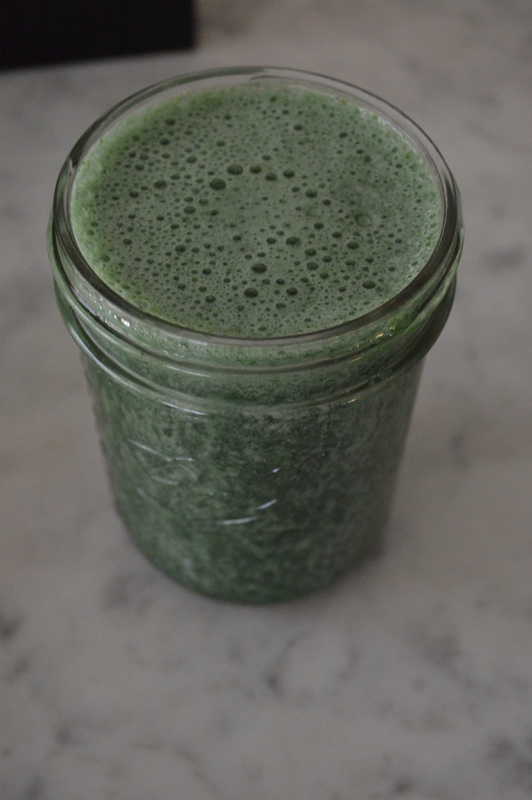 Added in some spirulina today. 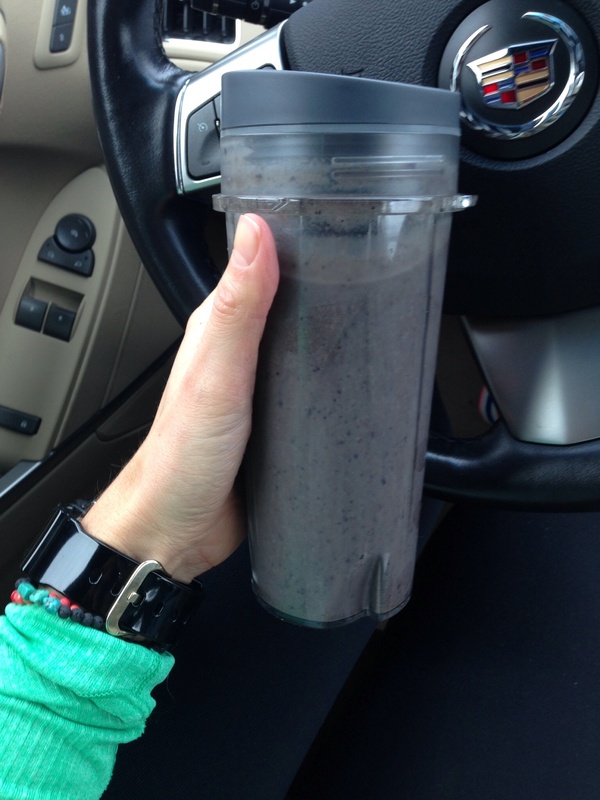 Big handful of these babies went into the blender…. 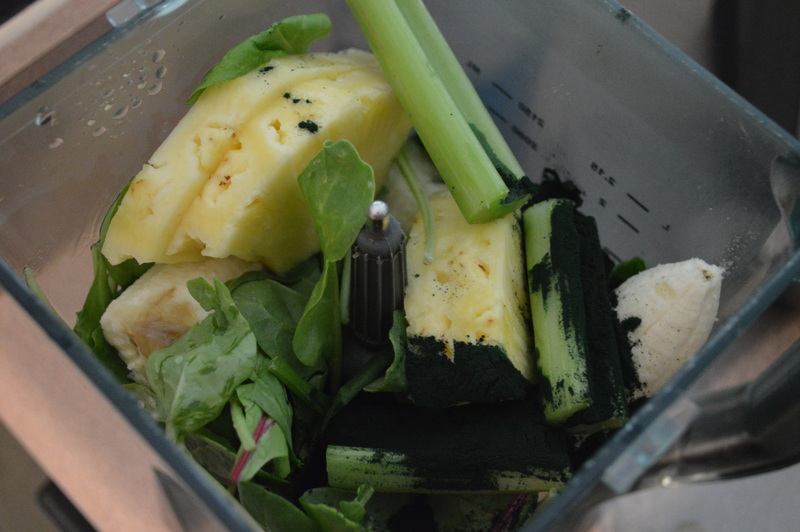 Power Greens, Banana, Pineapple, Celery, Spirulina, Water & Ice. Home from work and Starvin’ Marvin!! Totally didn’t eat enough today. 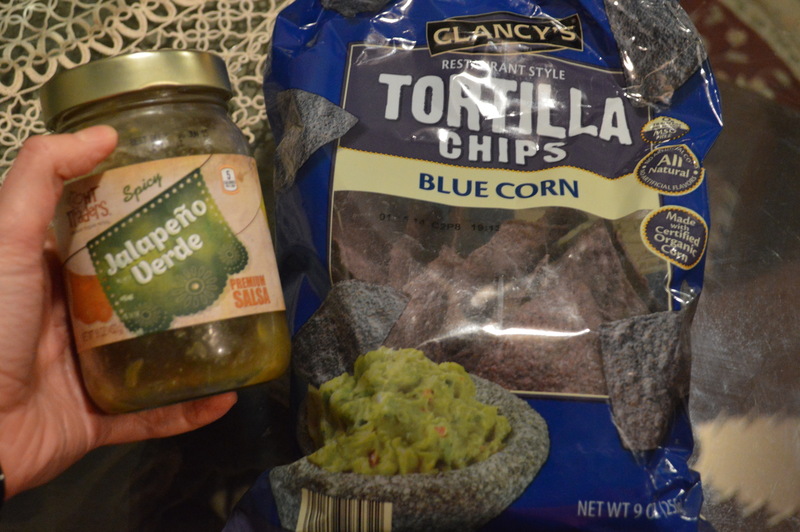 Blue Corn Chips & Jalepeno Verde Salsa (this is what was in my eggs & rice). Snacked on this while heating up my soup on the stove..
Mmm Mmm! 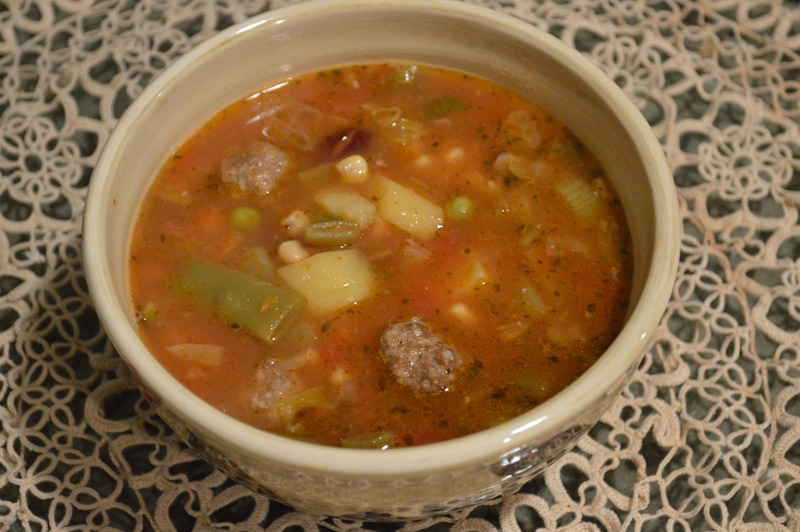 Homemade Minestrone Soup. Tons of veggies + little baby meatballs. Ate this and then I was off to yoga. 715 Hot class with Tanner at Y2. First practice of the week and it felt amazing. Previous Post Happy “Bridesmaid” Monday!